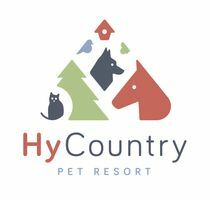 The staff at Hy Country Kennels & Pet Resort has been passionate about animals since we opened in 2001. You can trust them to handle your pet with a calm voice and a gentle hand. All members of our staff are certified in Dogsafe Canine First Aid. We have a lot of pets coming back time and time again because their owners are pleased with our work. Contact us if you’d like to inquire about our cat and dog daycare and boarding service.